The Connecticut school tragedy truly impacts the nation. 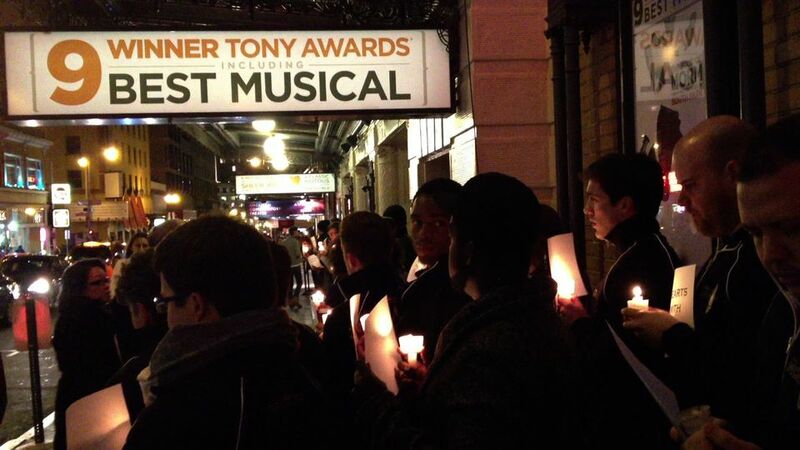 The theater community is just one sector wanting to express their support to the families of the victims. 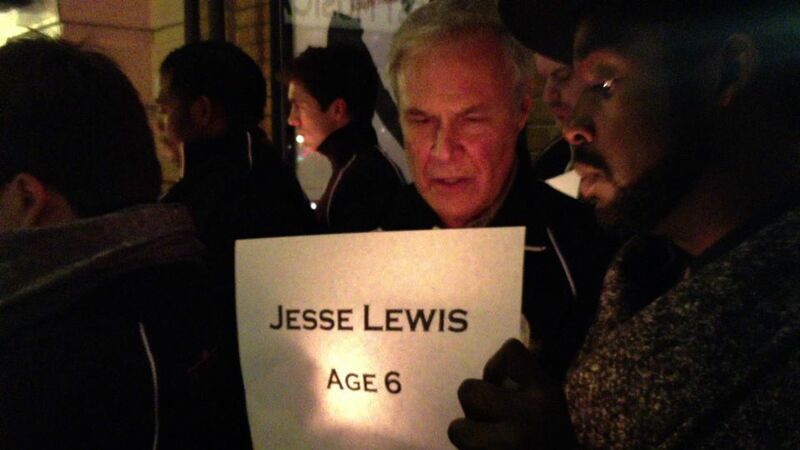 I was so touched Tuesday night when I came upon the cast and crew of the hit musical, “The Book of Mormon” standing outside the Curran Theater holding candles to illuminate the names of so many lives lost. Moments before the start of another sold out performance, actors said they just want the families to know that they are standing with them. December 21, 2012 in Video Postcards of San Francisco. a nice thing to capture on your walk home. Miss you.